Win Prizes. A few challenge participants will be recognized at our 2014 Business Builder Conference. On top of that, we have some surprises up our sleeves, and they are prizes worth getting excited about. Discover Health Shake. A convenient, delicious, instant meal packed with nutrition. Gain Power. Health Shake contains 26g of top-quality, time-released protein. Healthy Energy. Health Shake is the optimal formula for efficient satiety and energy. Switch your breakfast to Health Shake. If you normally skip breakfast, drink the convenient shake instead! Want a more dramatic transformation? Have a Health Shake for lunch too. Submit an easy, online form. It’s a quick set of basic questions that let us know you’re in! SMART SWITCH SPECIAL: Buy 5 Health Shakes, Get 1 FREE! Click here to purchase. The Health Shake is a Meal Replacement. That means you should not have a shake along with other foods at any given mealtime, you should have it instead of breakfast and/or lunch. For best results, avoid snacking on anything besides raw vegetables. Enjoy a healthy dinner every night! Many say that Health Shake is tastiest when mixed with milk. The extra calories from milk may also increase satiety. But feel free to mix it with water, almond milk, or whatever is most convenient! You decide what’s best! Want to try a new flavor? Mix in a small handful of your favorite raw fruits. Berries are a great choice! It never hurts to exercise. Big results can be achieved simply from 30 minutes a day, five days a week. Dan Higginson, Founder of Synergy WorldWide, has made a friendly wager with Synergy President Dan Norman. As of February 1, both Dans weighed within 4 pounds of each other (right around 250 pounds). Now, doing nothing more than switching breakfast and/or lunch meals to Health Shake, each Dan will strive to lose more weight than the other. The Dan who remains most committed to smart-switching each day is sure to come out on top. The final weigh-in will take place at the 2014 Business Builder Conference. 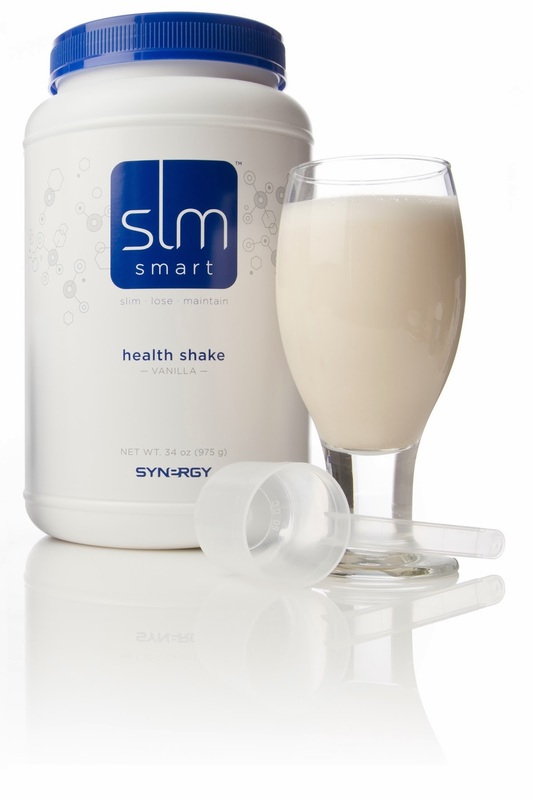 HEALTH SHAKE INFOTake the guesswork out of eating right and achieve your ideal weight with Synergy SLMsmart Health Shake. This delicious, instant meal replacement offers more benefit per sip with nutrient-rich, smart calories. The Health Shake fuels your body to keep it running at high efficiency for up to four hours. The Health Shake also provides 26 grams of high-quality protein from three different sources (whey, casein and soy). This formula provides time-released blasts of protein for your muscles and metabolism to benefit from throughout the day. Additionally, Health Shake contains a balanced array of vitamins, minerals and healthy fats to keep you energized. For nutrition facts and more information about Health Shake, click here. * Results will vary. Replacing up to two meals each day with Health Shakes when combined with healthy eating and moderate exercise is the best way to experience maximum benefits.